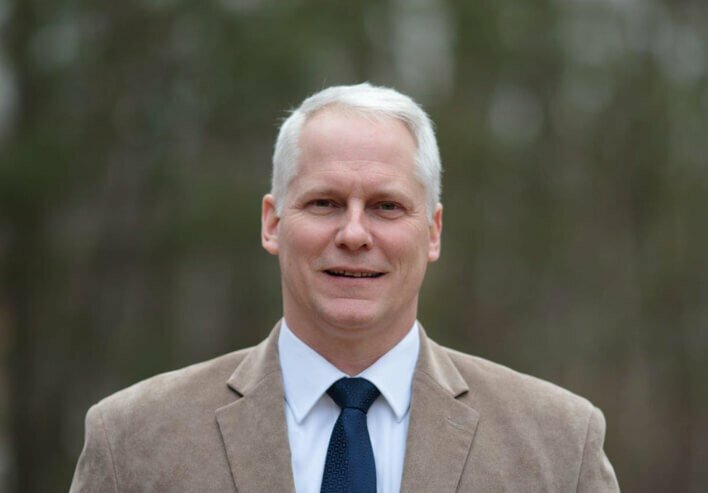 Bedford, NH — Colonel Christopher Barron, Retired, former Commander of the New England District of the U.S. Army Corps of Engineers has joined Normandeau Associates, Inc. as a Senior Regulatory Specialist. Colonel Barron will focus on the management of large, complex projects and continued expansion and strategic development of Normandeau Associates. Colonel Barron will add high level regulatory expertise to the firm in the areas of environmental impact studies, licensing and permitting for energy projects, harbor dredging, transportation and other infrastructure projects. He will also play a major role in strengthening relationships with state agencies, with an emphasis on the Northeastern U.S.
"The addition of Colonel Barron provides senior regulatory and management expertise to complement our growing number of top-notch environmental scientists and managers. Chris' experience managing large complex projects will support our nationwide practices in the energy and port development sectors," said Pam Hall, Board Chairman and CEO. "I am excited by the opportunity to work with Normandeau's team of scientists, environmental and public involvement professionals," said Colonel Barron. "The firm has an exceptional reputation within regulatory agencies and the cutting edge technologies applied by the firm are helping to solve many of the Nation''s most pressing environmental challenges." Normandeau Associates, Inc., an employee-owned company in business for over 45 years, with a staff of 250 and 19 offices nationwide, is one of the largest science-based environmental consulting firms in the country and is known for its technical excellence and outstanding client service. Normandeau Associates specializes in environmental impact studies, permitting and licensing of projects, wetlands mapping, stormwater management, water quality monitoring and modeling, dredge monitoring, fish and wildlife studies, and habitat restoration. Normandeau Associates provides services across several market sectors including: hydropower, transportation, ports and waterways, electric and gas transmission, energy generation, NGO''''s and Federal, state and local government.